The halls are closed during Spring break. 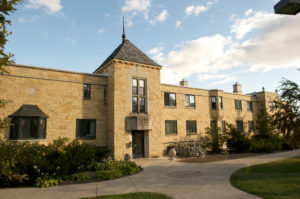 Students who are not able to leave campus for the break due to distance from home may be housed on campus with permission from the Residential Life Office. Information about and applications for break housing can be found online. Applications are due to the Residential Life office by 5:00 PM on March 21. Halls will close at 9:00 AM on Friday, March 30 and re-open at 12:00 p.m. (noon) on Sunday, April 8.